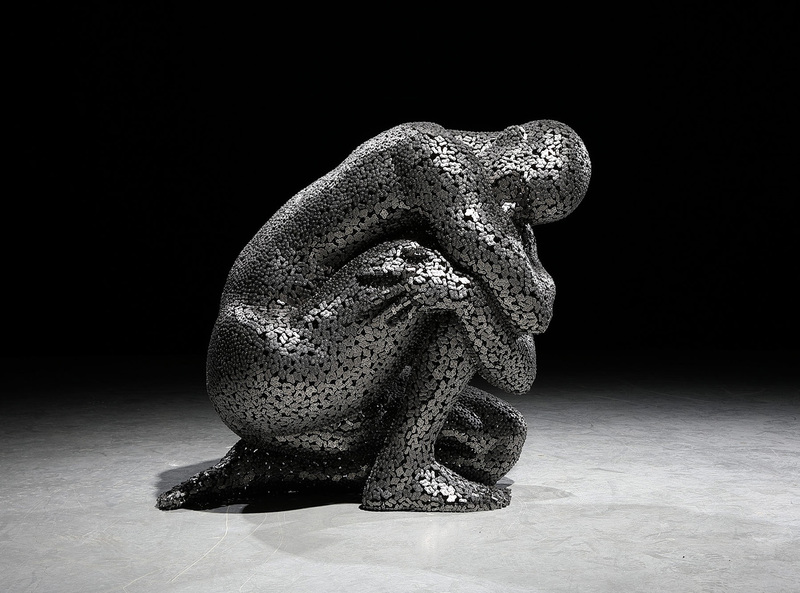 Young-Deok Seo produces life-size figures welded from hundreds of folded bike chains. 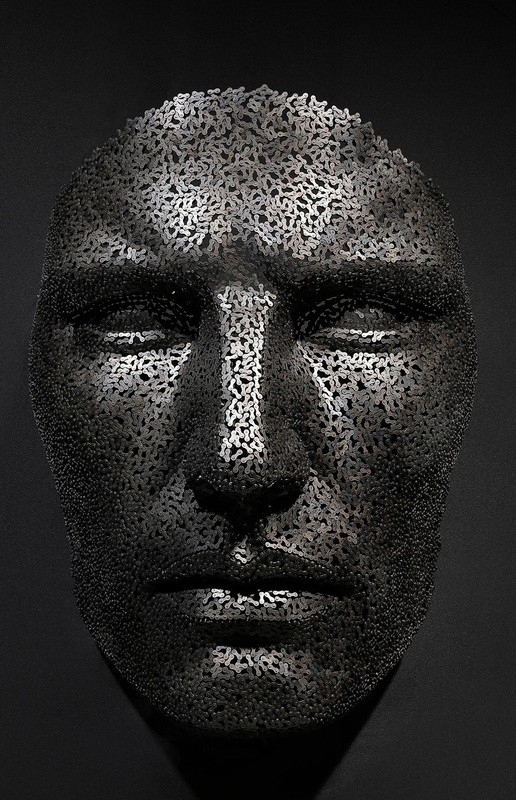 To create these works he first begins with a sketch, which he then digitizes to create a 3D model. 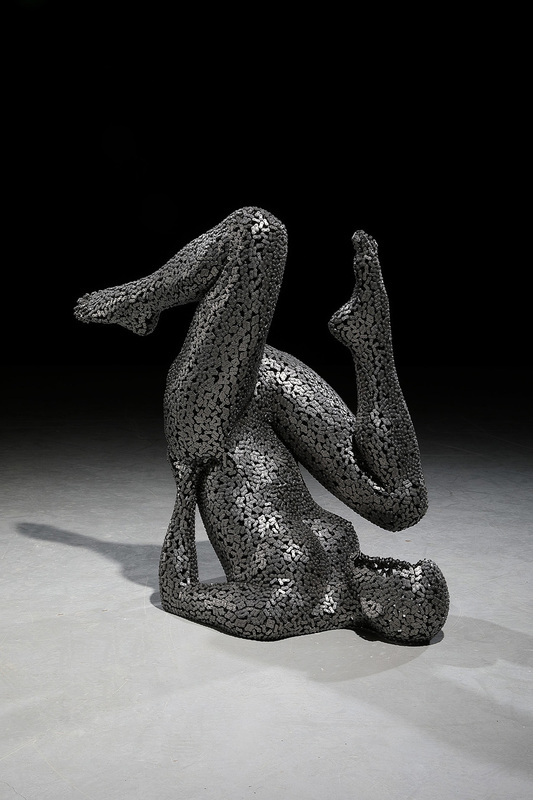 Next he creates a full-scale rendition from clay, which serves as both his foundation and mold for the welded chains. 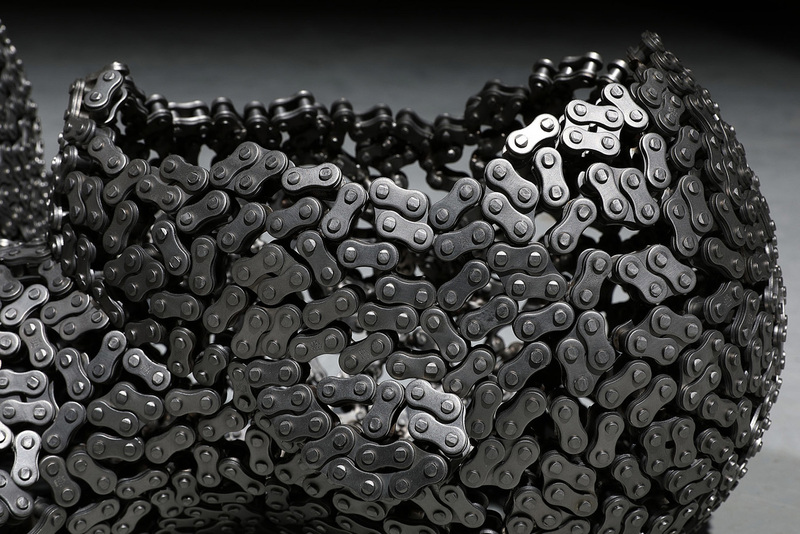 Despite the many bends and curves of the chains’ hinges, the final forms perfectly outline the intricate details of human ears, torsos, and hands. 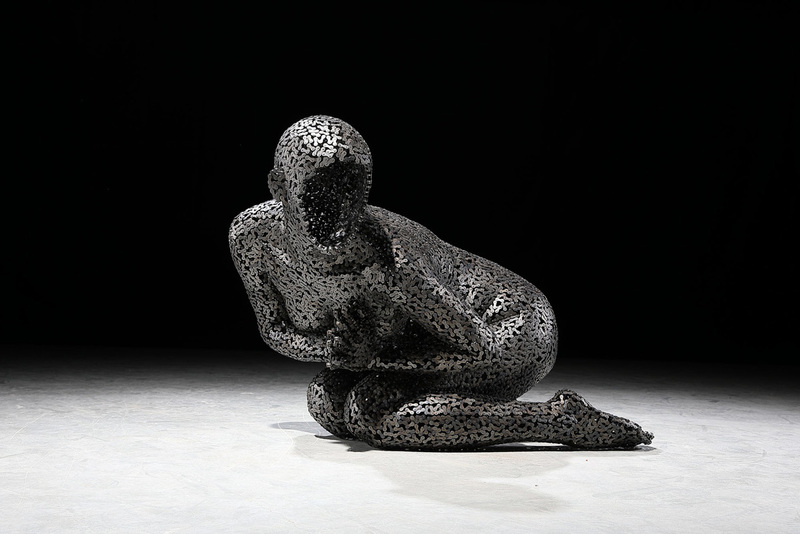 The Korean artist as an upcoming solo exhibition curated by Liquid Art System at Abbazia della Misericordia in from late March to mid-April 2019. 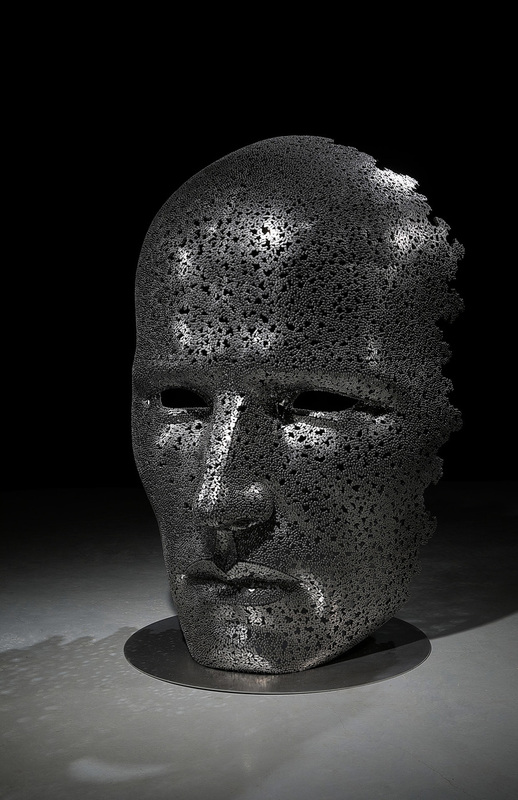 Meanwhile you can check wire sculptures and steel sculptures.